Now that we're over the Thanksgiving hump it's time to break out the Christmas and holiday movies!! There is nothing like kicking off the season with some wonderful Hallmark, Lifetime and other various made for TV movies, popcorn, hot chocolate and maybe a little black Friday shopping. 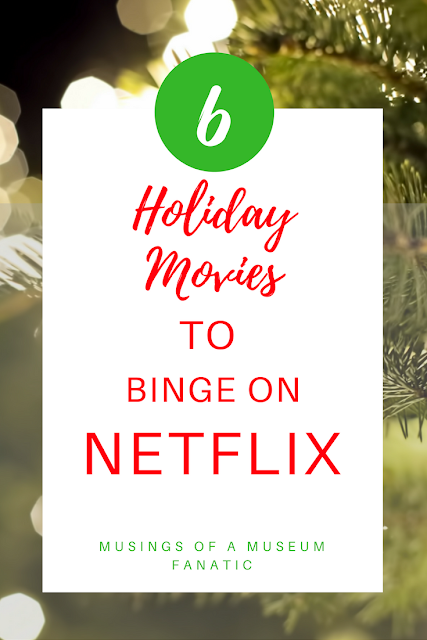 Although let's be honest these are binge worthy movies any time of the year. Start your Netflix binge watching engines with my top 5 favorites! Girl peaks in high school ... goes to reunion expecting miracles with jerk ex-boyfriend ... girl realizes high school is over and she's way better than all that crap ... girl realizes who the real awesome guy in her life is. Hint it's not the ex! A lawyer bent on selling a Vermont inn is getting push back from a ridiculously handsome ghost. This is a Christmas movie that was made for me between the romance and the historical mystery it has me sighing every time I watch it. This one for me was the gateway Christmas movie. A friend of mine had suggested it a couple years ago and from there I literally binged on all the others the same weekend. Christmas Kiss is a sort of Cinderella tale but with an evil conniving boss who tries to take the credit to keep the guy. For those who are looking for a sweet tale of a hardworking woman just trying to keep Christmas merry and bright while saving her family store while she's at it. While not quite as good as the original and with the brother coming off slightly creepy at times Christmas Kiss II does redeem itself with innocent romance and good triumphing in the end. Do have a favorite Christmas and holiday movie?